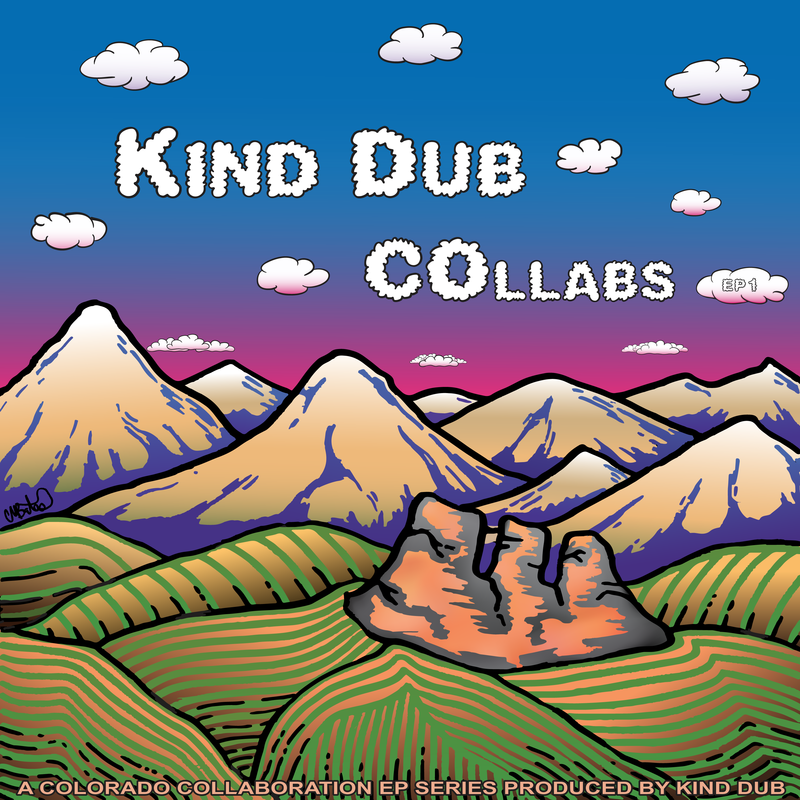 Kind Dub is back at it with a new creative concept, dubbed the COllabs EP Series, featuring some of Colorado’s favorite rising musicians, emcees, vocalists, DJ’s and visual artists. Spawning from the “CPR Super Sessions” filmed at the Music District in January of 2017, Kind Dub immediately knew they wanted to capture and highlight some of our state’s talents in unique hip hop inspired records. 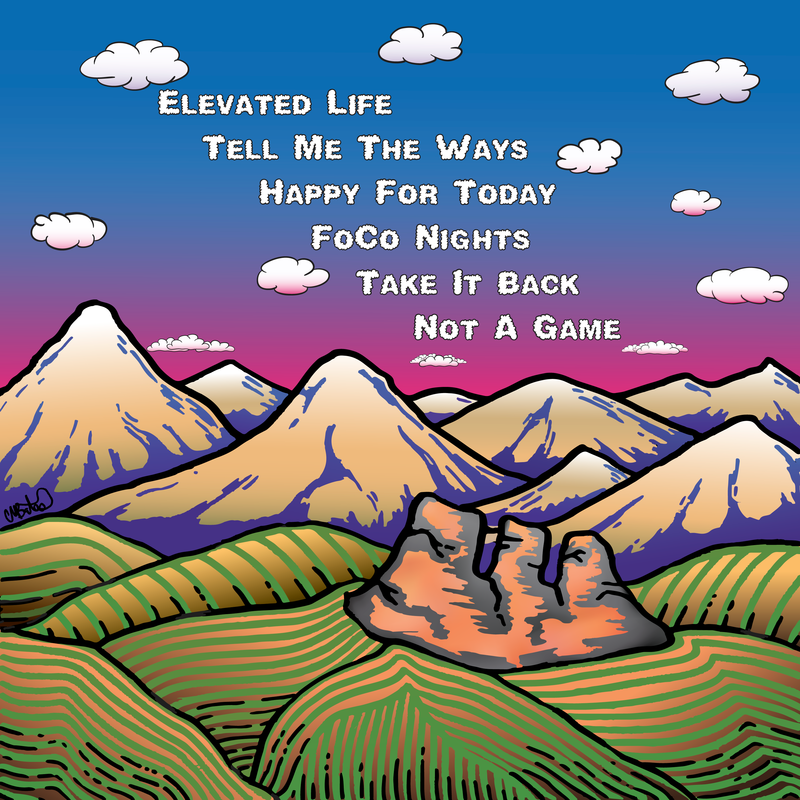 Many collaborations and singles began to develop, and after a year of creating and recording with artists across the Rocky Mountain Front Range, KD decided to launch the first part of the series. COllabs EP 1 features Sarah Slaton (Edison), Briana Harris (The Burroughs), Thin Air Crew, Alex Knox, J Bomb (Indyground Ent. ), Sarah Joelle (Lola Rising), original Kind Dub Krew member Arson & DJ Dominic Deadbeat. Artwork is in collaboration with Chris “Mighty Fine Art” Bates & Kind Dub. All Featured Artists, Chris “Mighty Fine Art” Bates, Colorado Public Radio, KRFC, 105.5 The Colorado Sound, KCSU, The Music District, The Bohemian Foundation, Black Bottle Brewery, FoCoMX, Darren Radach at Stout Studios, Downtown Artery, Jeserae Dale, Aggie Theatre, Backstage Flash, SALT Magazine. We can’t do this without all the supporters, fans, family, venues, industry friends, the beautiful Colorado community and beyond that keeps us going strong! 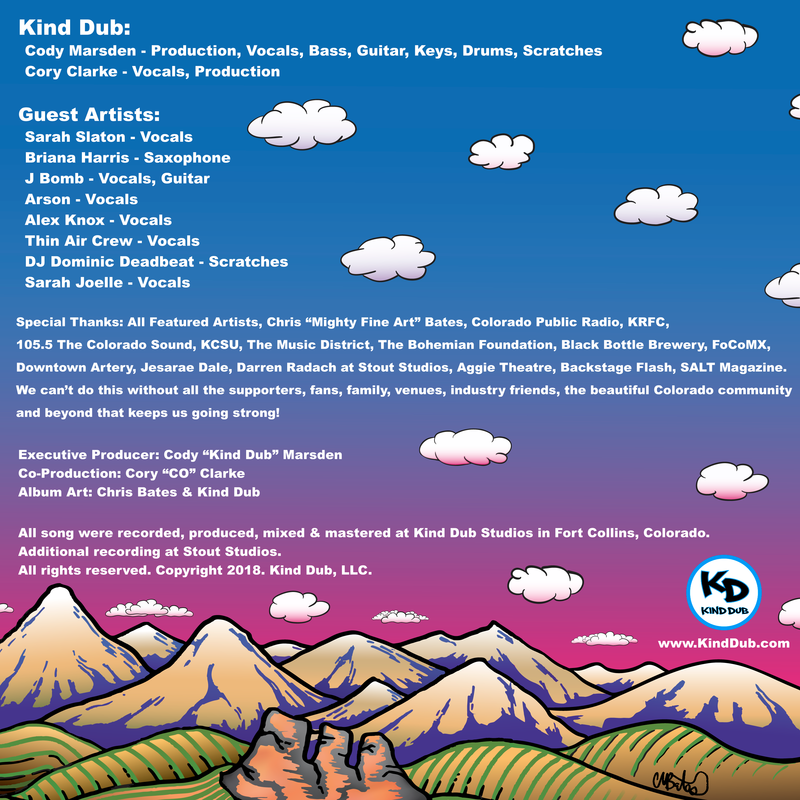 All song were recorded, produced, mixed & mastered at Kind Dub Studios in Fort Collins, Colorado. Additional recording at Stout Studios.